Mondays are for Coffee Talk. | The girl who loved to write about life. I love blogging because it makes me write almost every day, but it can sometimes seem like if I'm going to show up here, I have to have a post that's well thought out or deep or pinterest-perfect. These are great, but a lot of little things-like coffee talk-slip through the cracks because they don't fit into these categories. So today, let's just have coffee talk. 1. I've always had such a hard time getting rid of things, because I form a sentimental attachment to almost everything I bring into our house. I once kept a spatula for a good three weeks after it melted in the dishwasher, just because it had been a wedding gift (from who knows who), and I loved our wedding, so I needed to keep it. My brain...it's weird. Anyway, it's so funny to me how easy it is to get rid of stuff now that the baby is on the way. Selling and tossing and donating stuff isn't nearly as hard when it's to make room for him...it's just stuff. IF I miss it, I can just go buy it again later. 2. I've been loving the caramel apple spice drink so much that I want one every single day. Buuuut, I don't love the idea of paying $5 for one every day when I feel like they aren't that hard to make. So I looked up a copycat recipe, went to Target, and made some for me and Chris before our fall date a few weeks ago. He took a sip, told me it was delicious, and did not touch his cup again. I drank some of it, thought it tasted super weird, but blamed it on too much sugar and weird pregnancy tastes. I tried again a few days later...it was disgusting. I thought I must be doing something wrong, read the recipe again, gave it one last shot...so gross. The next day I decided to give my money saving efforts one more go before I resigned myself to spending all of my money on grown up apple juice, when I got the ingredients out of the refrigerator and realized that I did not, in fact, have apple juice. I had white grape juice. I made four caramel apple spice ciders with grape juice. 3. I got new glasses and I cannot get enough of them. I also got new contacts, and the fact that I've been choosing to wear my glasses instead of contacts just shows how much of a love affair we're having. They're Dolce & Gabbana-from Target, because I'm I have D&G tastes and a Target Budget (just kidding, I have Target tastes and a dollar store budget. But moving on. ), and are probably the nicest glasses I will ever own. Chris keeps complimenting me on my "Gucci and Gabbana" glasses, and I'm letting it stick. Happy Monday, friends. Wishing you lots of coffee and a beautiful today. Ugh it's the worst when you find copycat recipes and are thinking they're going to be great but it's a total fan. Chris is a trooper for trying it and being so nice about it! Hopefully next time you'll have more luck with it! So the grape juice accident is something I would do! And I've done similar things a million times before! He's so sweet to tell you it was good. :) I love your new glasses! I need some new ones myself! good job with cleaning out! Babies are the best motivators. Saw your new specs on instagram, they look so hip and good on you! That is too funny about the grape juice!! Though now you definitely need to keep trying the caramel apple spice, it looks like it would be delish with the right ingredients! I love that your hubs told you it was delicious even though it wasn't! That's cute. Hopefully now with the right ingredients he can tell you that and it will be the truth! I've always been too scared to try a copycat recipe in fear of it turning out awful! But, ya live, ya learn, I guess. LOL at the apple cider/white grape juice incident. So funny. I'm so obsessed with caramel apple spice! Did the recipe taste good with apple juice? 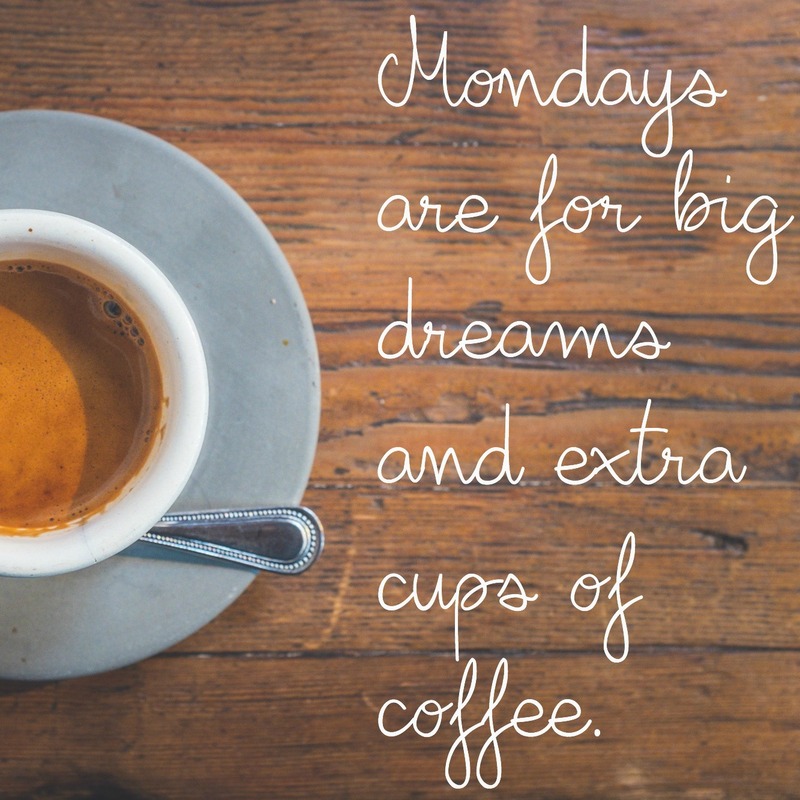 I love the idea of coffee talk posts! I feel like most of my posts want to/start out like these perfect pinterest-perfect posts, the sound all organized and punctual in my head, but then I start to ramble or get a head of myself, I end up going into an entirely different direction; much like when you're talking over coffee with a friend. Congrats on the pregnancy! I'm new around here and just found your blog. You're having a boy? That's so exciting! But I've always had a hard time getting rid of things too. Serious hoarding issues!! I just recently got the cleaning bug and literally took out half of my room - my boyfriend gave me the great advice of: if you haven't used it in a year, toss it. Oh my gosh the apple cider story is SO something that would happen to me. Chris is so sweet for pretending he liked it (even though his attempts were pretty transparent). I also love blogging about all of the random bits of life, the coffee talk idea is excellent! I had no idea Target even glasses. Yours look adorable on you so I'm going to have to look into that! OMG!!! I swear that drink recipe debacle is something I would do, and I don't have pregnancy brain to blame :) It's a good story for a laugh for sure! I used to be the same about holding on to stuff--more recently though I've been very good about only keeping things that are necessary. We've always lived in bigger houses (for just two of us, anyway), and then moved into a tiiiiiiiiiny apartment. That definitely helped shift our mindset on stuff! Before I got LASIK I absolutely loved getting new glasses. Fashion for the face. I love new glasses. I'm getting ready to order some and I'm so excited. Literally LOL'd at the white grape juice! That is the best story! #2 - I'm dying!!! haha!! That sweet husband of yours. Once, I accidentally put Cumin into banana bread (thought it was cinnamon) and Christian ate it. AND said it was good. AND ate a second piece the next day. Love, I tell ya.